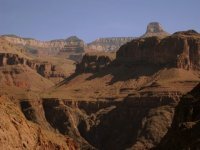 The two couples hiked to the bottom of Grand Canyon and Steve took some wonderful photos of our most beautiful national park. The canyon will take your breath away! Nestled at the foot of Snow Canyon, lies a fabulous resort , Red Mountain, where you can and get your life back. The inclusive package includes your meals, fitness program, daily hiking and other classes. Spa treatments and alcohol and some activities and excursions to Zion are optional. Here is a slide show I created on Facebook of my recent trip to Red Mountain. Want to go on a fun road trip? Fly into Miami or Ft. Lauderdale, rent a car and head south to the Florida Keys. 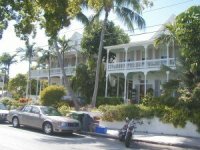 It’s a beautiful drive through some of the funkiest towns you will ever see and Key West is a world unto itself. Hemingway settled here and many presidents had winter homes here.